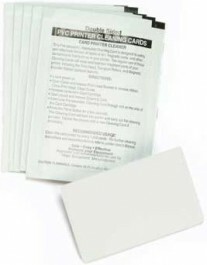 Cleaning card is used with printers all card printers. The Cleaning Kit is used with all card printers,except Retransfer printers. The price is for 1 cleaning card.